Since the definition can be very broad, we want to be as transparent with our choices as possible. Cotton can be very intensive to produce, and some alternative fibers are finding their way into denim. The various materials used have a direct environmental impact through farming practices and processes used in production of those fibers. 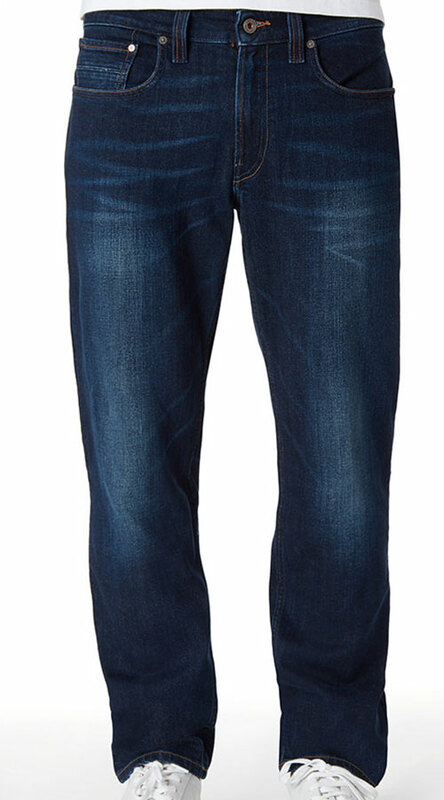 Denim can use a lot of water, nearly 10,000 liters of water in the production process for a single pair of jeans. Reduction or recycling of water use in the dying and washing process can dramatically lower impacts. Factories producing denim can pose a variety of health hazards, not to mention sweat-shop conditions. We want to see fair labor practices and transparent supply chains to ensure socially responsible production. Synthetic dyes can have toxic chemicals and often are dumped into nearby streams and waterways. Using natural dyes with wastewater treatment or closed systems lessen impacts from coloring agents. Sandblasting and distressing is often responsible for worker health issues. We like to see finishes that don’t use practices known to harm both workers and the environment. Fashion is the third most polluting industry in the world, and the second largest consumer of water. Here are some brands on the forefront of sustainability, pushing the industry in a cleaner, less destructive and more compassionate direction. Known for their ‘Radical Transparency,’ Everlane seeks to transform the clothing industry by focusing on factory ethics and transparency in costs. They have made strides in environmental sustainability with their denim line as well with new processes in denim production. 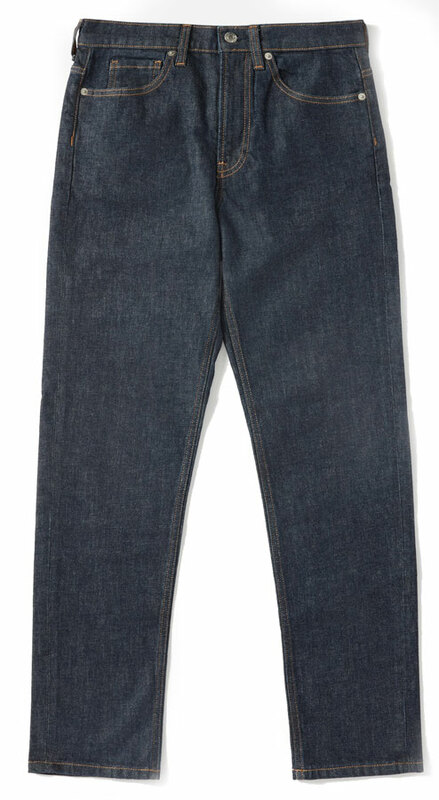 A more fashion-forward fit and color that sits a bit higher on the waist, the slight give from the Japanese denim (and 2% elastane) is subtle but appreciated for the more substantial weight. The LEED-certified factory with its water and energy efficiencies and transparent practices is a favorite of ours. We also appreciate the apparent quality and value of Everlane products. Born from a desire to make rugged, simple, responsible cotton, Source Denim creates simple quality jeans with attention to detail and sustainability. Working with Greenpeace, they developed a less resource-intensive way to produce beautiful denim in order to transform the denim industry. They guarantee their jeans will last you at least 10 years. 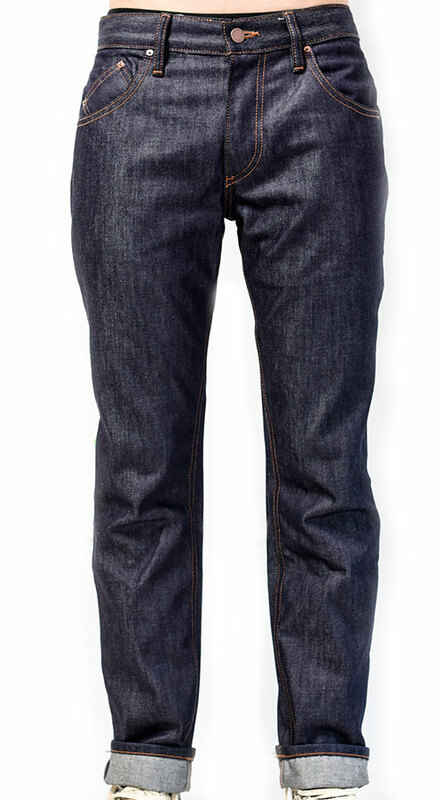 If they get ripped or torn in the meantime, they will provide a denim repair kit or repair them in-house them for you. They also accept and recycle your jeans at the end of their long life. Dyes: Biodegradable and natural Biopolymer derived from food-waste, and pre-reduced synthetic indigo dyes. Conceived in Peru, South America, the founders of Kuyichi – NGO Solidaridad were exploring the cotton industry in Peru and where shocked by the pollution and poverty they saw. Founded on the concept that organic cotton provided a better life for farmers, Kuyichi started their line with 100% organic denim. We like the innovation in new materials. From incorporating recycled denim and plastic bottles into new lines, to eco-friendly alternatives like Tencel, Kuyichi isn’t above breaking some stereotypes about denim. They also release a sustainability report every year which includes information about their suppliers, code of conduct and use of materials, revisiting their transparency openly every year. Organic cotton is an improvement, but it is still land and water-use intensive needing between 20% to 50% more land to produce than conventionally grown cotton. A brand built with sustainability at the core of everything they do, this Los Angeles based clothier recently re-vamped their jeans line in order to join the eco-conscience denim revolution. By incorporating a wide range of fabrics and recycled materials, they are able to lessen environmental impacts traditionally found within the industry. Reformation takes in consideration the entire supply chain into their sustainability efforts, from 100% renewable energy sources to recycled office pens and paper. Not only have they put a priority in harm reduction, but they also look to offset impacts with carbon credits. Oh, and if you are an employee, they plant a tree in celebration of your birthday. Each item is labeled based on it’s ‘Refscale’ or sustainability index. This is a more generalized overview of all of the garments Reformation produces. 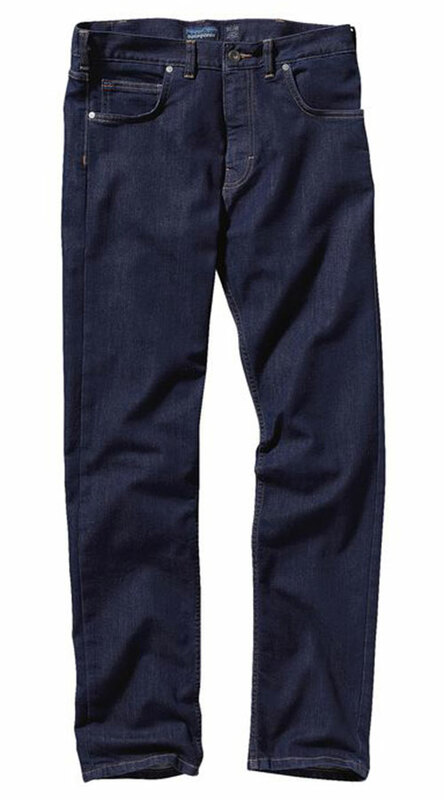 Synthetic indigo dyes derived from coal tar and toxic chemicals are slow to decompose and are used in most jeans, including 90% of jeans from China. A pioneer in the sustainable movement, Patagonia has been an eco-conscious company from the start and continues to run that way. They provide transparency on their supply chain and promote sustainability as a company value. A medium-weight fit with a slight stretch for comfort and durability. Water repellent finish that doesn’t feel waxy or synthetic. Good even coloring and a nice comfortable yet modern fit. Denim is a dirty industry, but with companies such as these making strides in environmental and socially responsible practices, there is a glimmer of hope that the industry can be changed. Purchasing a single pair of sustainably sourced well-built jeans for the long term can easily replace 5 poorly made low-cost replacements. Now you can love your denim, and make it a bit easier on the planet.